An updated improvement on the original LS. Like the Flyweight™ starters that preceded it, the XLT series builds on 25 years and more than 50,000 LS and PM starters in service worldwide. 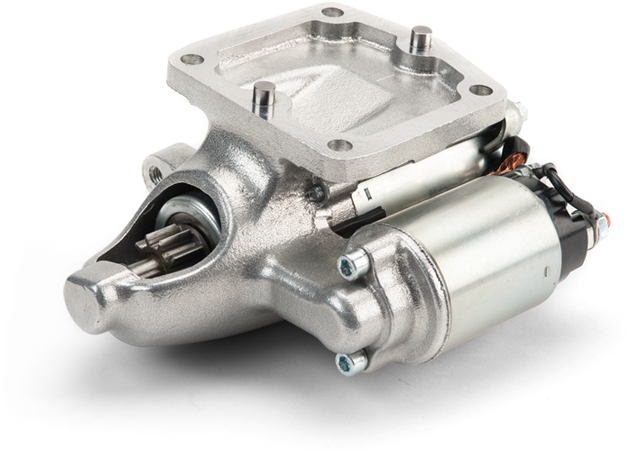 Combining one of our proven permanent magnet motors with a weight-optimized housing results in a 6.5-pound starter, the lightest certified starter available for Lycoming engines. The XLT has a left-side-mounted solenoid and is a direct replacement for the LS. XLT series starters are perfect for weight-cutting kit builders and STOL aircraft, like Cubs, Huskys or anything with a 4-cylinder Lycoming engine from the O-235 to the IO-390.